Kuala Lumpur (VNA) – Malaysia, host of the upcoming Southeast Asian (SEA) Games, has adopted new measure to boost security against terrorism. 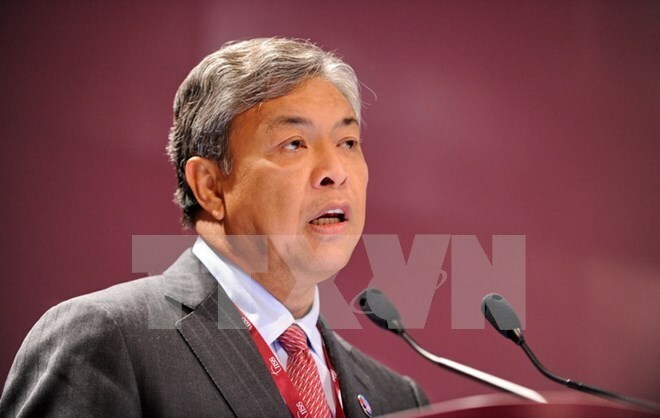 Malaysian Deputy Prime Minister Ahmad Zahid Hamidi said a mechanism on crisis management had been established under a directive by the National Security Council. The mechanism comprises the Crisis Control Committee chaired by Chief Secretary to the Government, Crisis Management Team of the Internal Security and Public Order Department and the military’s Crisis Management Team, he explained. According to the Deputy PM, the police have been cooperating with state agencies to hold a series of exercises named 2017 Ex-Rimau in Bukit Jalil National Stadium, Langkawi, Kuala Terengganu and several locations in the capital city of Kuala Lumpur. The 29th SEA Games are scheduled for August 19-31 with 4,888 athletes from 10 ASEAN countries competing in 38 sports. More than 370 police personnel joined in a security drill held in the state Terengganu in early July.